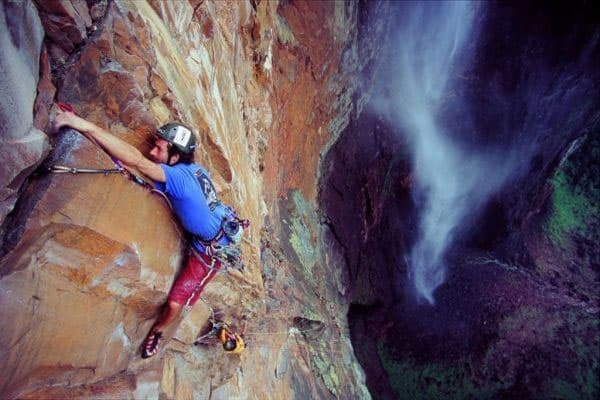 In 2005 Ben was a lead climber on an international team who made the much heralded first free-climbed ascent of the main wall of Angel Falls in Venezuela. As the highest waterfall in the world, Angel Fallsstands at a colossal height of 979 meters (3230 feet), overhanging virtually throughout, and took them 20 days of continuous effort. This ascent was described as ‘one of the finest achievements by British climbers on foreign soil’. Together, the story, stunning photography, insightful video clips and, above all, Ben’s enthusiastic delivery, the presentation is sure to captivate any audience. It demonstrates that, with hard work, focus and planning, positive thinking and a determination to succeed, any goal is attainable, encouraging others to live their own lives to their potential. Today, Ben gave a very inspirational talk to our Year 6,7 and 8 pupils.